When I started Off The Sidelines, I did it to urge more women to raise their voices and speak out about the issues that matter to them. If we want the concerns and priorities of women to rise to the top of the national agenda, then we have to make sure that women’s voices are heard. A big part of my Off The Sidelines campaign is to encourage women to run for office themselves, so we can have more women in positions of power at every level of government. For Off The Sidelines, this means supporting progressive women candidates running for office around the country, from State Senate to the U.S. Senate — and, of course, for President. So this year, I couldn’t be more proud that Off The Sidelines is supporting my friend and mentor Hillary Clinton for President of the United States. I’ve been lucky to have women mentors throughout my life, each of whom played a big role in leading me on my path to public service. My grandmother showed me the power of women’s voices by organizing women in Albany to help elect candidates who shared their values. My extraordinary mother, who was one of only three women in her law school class, served as a professional role model for my friends and me. But in my adult life, politically, no one has inspired me to get off the sidelines and truly make a difference more than Hillary Clinton has. In my book — “Off The Sidelines: Raise Your Voice, Change The World” — I wrote that as a young girl, when asked what I wanted to be when I grew up, I announced brazenly: “A Senator.” But for years, I suppressed that desire, and was even embarrassed to admit that I wanted to run for office. And then Hillary reignited in me that passion for public service. Even though I was in the far back of the room, I felt as though she was speaking directly to me. 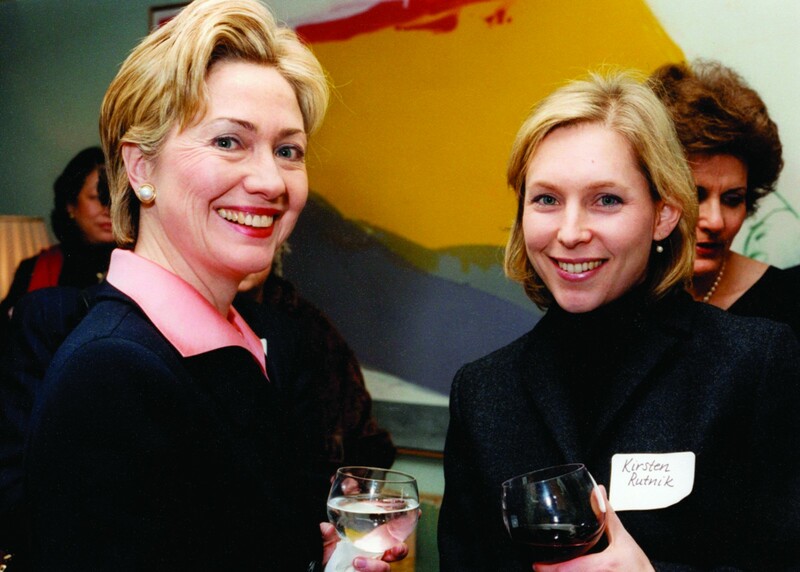 I got more involved in local races, and in 2000, when Hillary ran for the U.S. Senate, I was thrilled to support her. I raised money for her, I volunteered for her, and I spoke to friends and colleagues about her. It was just a few years later that my husband Jonathan and I moved back to the Albany area, where I grew up, to prepare for my own run for office. I was lucky enough to receive guidance and mentorship from Hillary during that run, and was truly honored that President Bill Clinton campaigned for me in my first run for Congress in 2006. So now, it’s my turn. fighting for the rights of women, from equal pay to the right of every woman to make her own health and reproductive decisions. So, to Democrats around the country, from Iowa to New Hampshire and beyond, I urge you to raise your own voices this year by voting for the person who shares your values and who will fight tirelessly for you and your family. I know, for me, that candidate is Hillary Clinton.